At Flexpeditions we run several Women's Wellness Weekends throughout the year. They are designed to connect you with nature through outdoor activities in a relaxing setting. Please read below for upcoming programs and for more information or bookings, please contact info@flexpeditions.com or call +1 (866) 929-3539. Spend a snowy weekend in the mountains and forests of Revelstoke, BC at Mulvehill EcoRetreat. Enjoy spending time outdoors xcountry skiing, snowshoeing, quinzhee building and the option to hit up the Resort on a pair of skis, board or tube! There will be 2 outdoor activities, 2 feasts, 2 lunches, and a spa session plus an outdoor art, nature therapy session to soothe the souls. Enjoy a combination of nature, art and outdoor therapy with a fabulous group of women all weekend. Enquire at info@flexpeditions or call +1 (866) 929-3539 for more informations or bookings. Arrive on Friday night with a spa treatment, welcome reception and social mingler. Enjoy a full day of activities and spa treatments on Saturday. Spend the evening x-country skiing and/or a trip to the hot springs. 5-6 Appys & Bevvies in the lounge! 8-10 Dinner & Speaker / Social! Wake up Sunday to a relaxing morning activity and soothing treatment to recharge you surrounded by Revelstoke's breathtaking scenery. Leave the weekend feeling relaxed, recharged, and reunited with your inner beauty and strength! 1pm departure. 1pm Farewell or Optional Activity (ski afternoon) or Pampering Session! Wellness: Wellness presentations can include - Women and wealth talk, bra fitting, beauty product sampling and nutrition and healthy living talk, women sport psych, as well as a healthy, inspirational outdoor woman speaker presentations! Sign up 2 or more at once and get the weekend for $375 each (no accommodation). $575 Women's Spring Wellness Full Weekend Package with Accommodation and catering. $425 Women's Spring Wellness Weekend Package without Accommodation and breakfast/lunch. Full details to come! 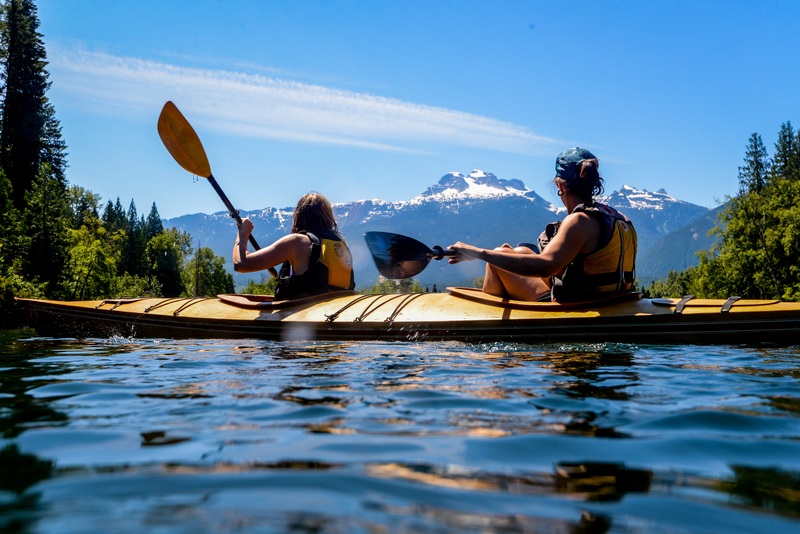 Paddling, outdoor healing sessions, stand up paddleboarding, kayaking, rafting, and canoeing around Revelstoke. Save $100 off your price until April 17. $675 Women's Summer Wellness Full Weekend Package with Accommodation and catering. $475 Women's Summer Wellness Weekend Package without Accommodation and breakfast/lunch. Full details to come! A full weekend of mountain biking at Sol Mountain. 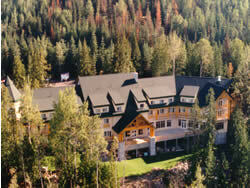 $675 Women's Fall Wellness Weekend Package with guided activity, accommodation, shuttle, and meals. 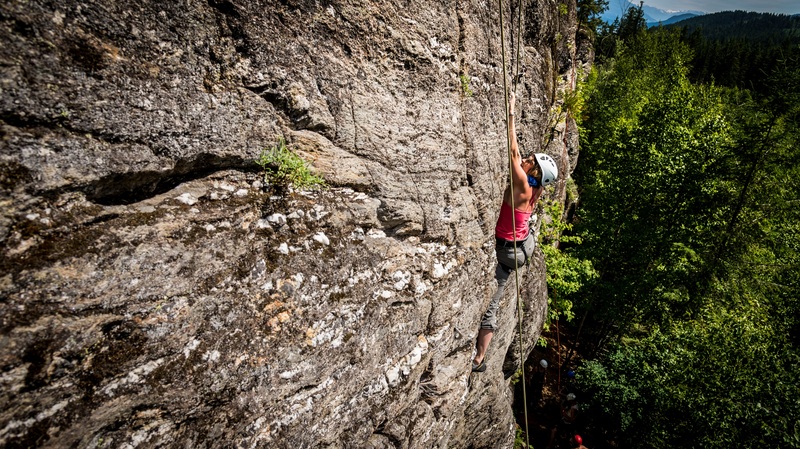 Enjoy a long weekend at Sol Mountain Lodge and go biking, hiking, yoga, and connecting in nature! Friends come together with different interests, enjoy their preferred activities in the day, and hang out with old and new friends in the evening. Included: Guides, all activities, transportation, accommodation, sauna and food. Cost: $775 Sol Mountain Getaway Weekend Contact us! Breakfast & Pick up. Pack lunch for the day. Lunch and Outdoor Art Project & Nature Therapy Activity. Wrap up at Sol Mountain Lodge with a final gentle yoga session. Please contact us to hold your spot by paying a deposit of $200. Full payment is required 2 weeks prior to the trip. Here are some of our featured accommodations or choose your own style from the Revelstoke Accommodation Association. Stay tuned as we feature more great accommodation options and partners in Revelstoke. 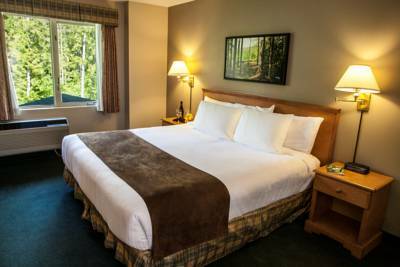 Be a guest of nature at this beautiful inn nestled up against the Columbia River and a blanket of green forest and waterfalls and below the snow capped mountain ranges! It is about a 15 minute drive from Revelstoke. Mulvehill has character and you feel like you become part of the Mulvehill family with every visit! Enjoy a delicious light breakfast and soup and sandwich lunch compliments of the lodge with your stay. Add on a dinner and be treated to a feast with a view! Retire in the serenity of the wilderness.